release their debut single, In The City by Polydor Records today (full review here). 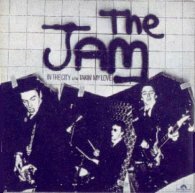 This young fast energetic trio consisting of Paul Weller, Rick Buckler and Bruce Foxton come from the town of Woking in Surrey. The band is a dream come true for Weller. As a student back in 1973 he was awarded a prize for having the best local group. The single is two Jam originals "In The City" and "Taking My Love." 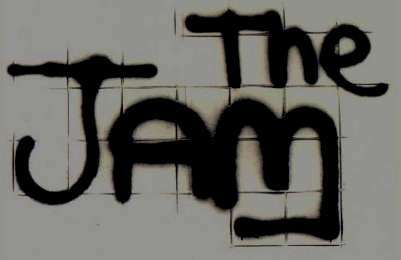 and will enter the charts, climbing up to #40, and the beginningof a long lasting relationship between the Jam and chart positions in the UK. Unlike the punks who they share bills with, the band dress in neat suits, ties and short, neat haircuts. They celebrate it's release by playing the Royal College Of Art in London tonight. play The Nashville, London tonight. Chelsea , The Prefects, Bethnal are down the Roxy. BLONDIE release htheir second 45 "In The Flesh" b/w "Man Overboard" on Private Stock Records. Both tracks are from their debut album issued in February ago. WAYNE COUNTY is the former Max's Kansas City DJ who has turned flamboyant performer. He's decided to tone down his ribald act and drop what his press office calls "camp theatrical excesses." That means he won't be coming out in drag and making it with a microphone no more. His backing band is Greg Van Cook on guitar, Val Haller on bass and John J. Johnson on drums will also get more ackowledgement as they officially now performing under the collective banner of "Wayne County and The Electric Chairs." Their debut as the "new" Wayne County is tonight at the London's, Hope & Anchor. This renouncement of style will in no way be reflected in the music however. Wayne County must be himself after all.